PPC - Search engine (AdWords, Overture etc.) At the search engines you pay for every click a user makes on your ad. I will give you a small example to show you the advantage or disadvantage of pay-per-click and promotional products. A click can cost you up to $100 in the worst case. The average cost per click is mainly 1 to 2 dollars. When you have a monthly budget of $1000 you will get up to 1000 unique visitors. Invest $1000 in promotional products and you will get for example 2000 pens with your logo or internet address imprinted on it. Send these pens to your possible customers or give it away at trade shows. Now anytime these people use the pen they will see the logo of your company. When these people one day need products you have in your online-shop they will get reminded of your company. If they visit your site now this can be seen as a “virtual click”. This can be up to 2000 “virtual clicks” and visitors for your site. 2. 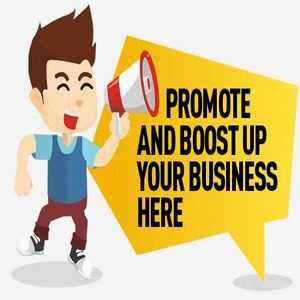 Banner advertising (pay per impression) You can compare promotional products with banner advertising. Your logo, internet address or product will be placed on an area with a typical size of space. The advantages of promotional products are the better “click-through rates”. The user will see the logo of your company every time they use these products. This is like a banner impression at websites. Normally a user will see your banner one time when they visit a website. At promotional products they will see it every time they use it. Why shall I use promotional products? 1. The user will see your logo as long as they use it 2. High “virtual click-through rate” and ROI(return on investment) when you give it to the right user groups (Trade shows) 3. People like to receive them. Why shall I not use promotional products? 1. The conversion rate can be near zero if you give the products to the wrong user group 2. High investments for several expensive promotional products and campaigns.